The 1A division this year has been absolutely STACKED with talent! More than 90 players entered the wildcard round, with only 27 moving through to prelims. Of those, only the following outstanding players will advance to semi-finals! Results are in for the 1A Division Wildcard round, where non-seeded players had 30 seconds in a private judging session to advance to the next round of the 1A Division! 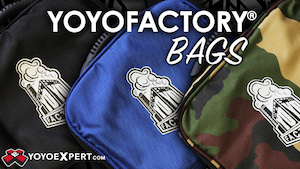 Some amazing players made it through from YoYoFactory, CLYW, YoYoJam, and more! 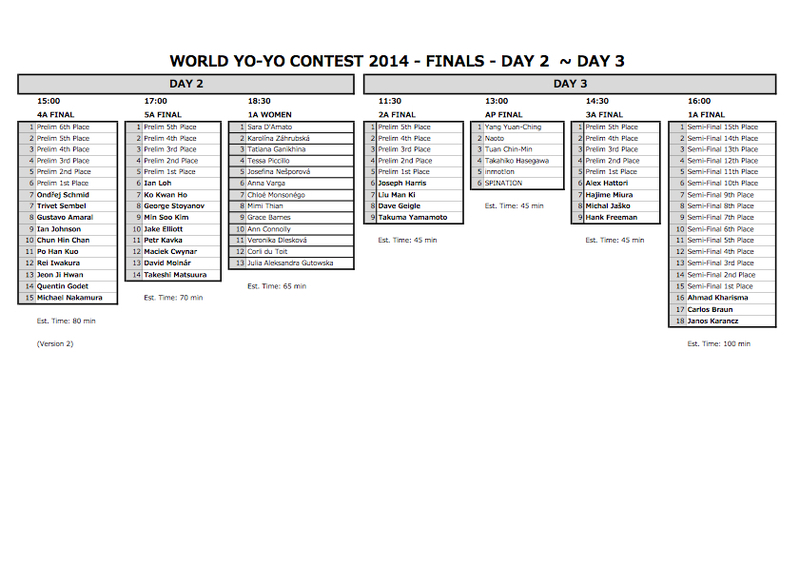 2014 World YoYo Contest – Doors are OPEN! 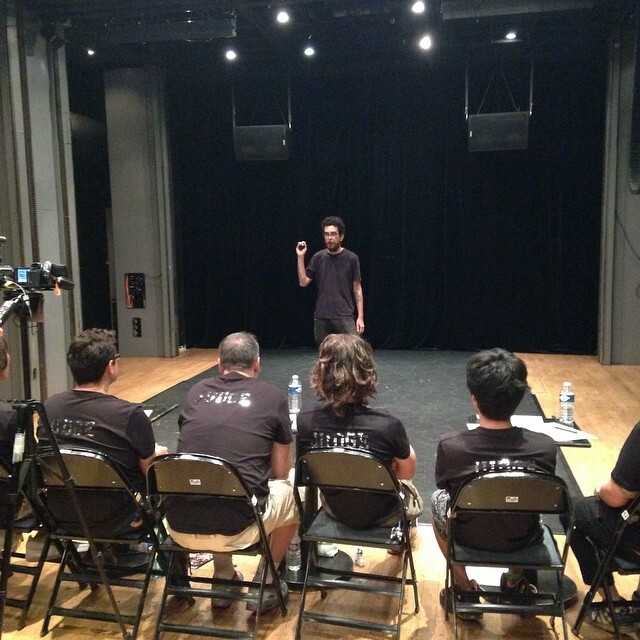 The doors have opened here at the 2014 World YoYo Contest! 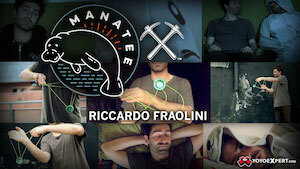 Check out our video of this momentous occasion! 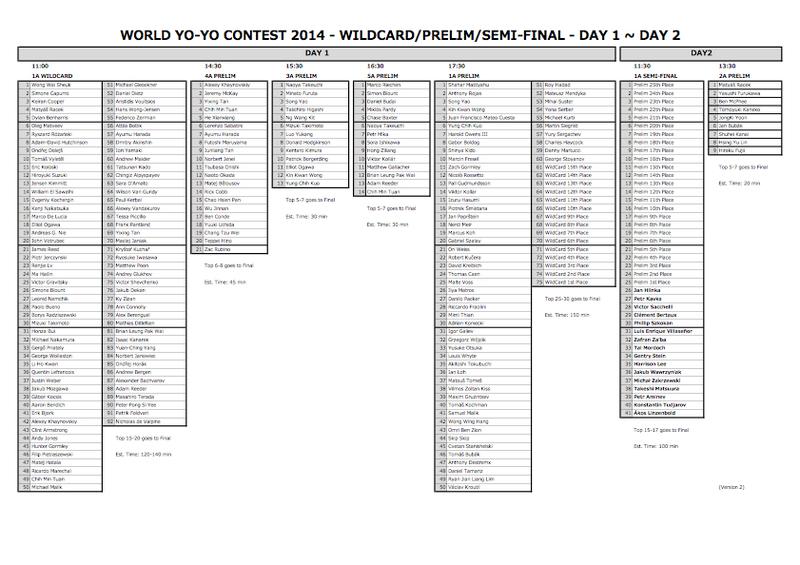 Here is the full player order for the 2014 World YoYo Contest. Please be sure to watch along on the live stream to catch your favorite players!